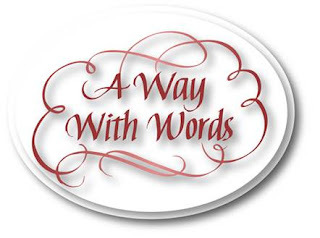 Welcome to a Way with Words. 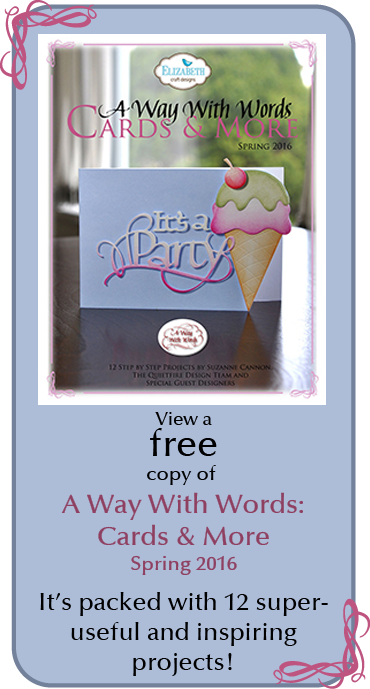 Each day during the event we're sharing projects made with the brand new Elizabeth Craft Designs word dies. All these designs are from original hand lettering by Suzanne Cannon and can be found on the Quietfire site and on the Elizabeth Craft Designs site. 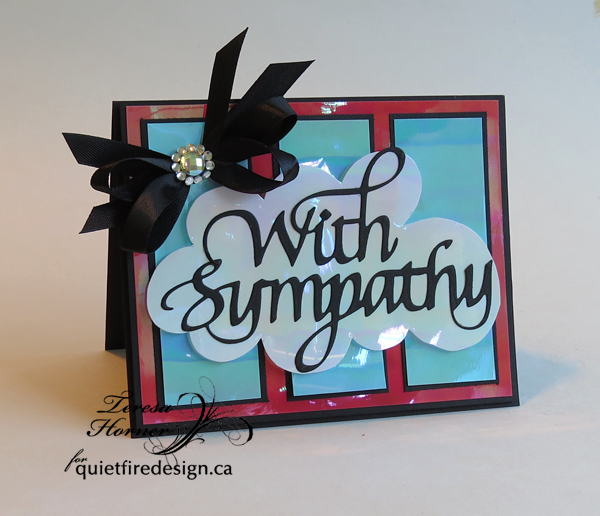 My die today is called "With Sympathy" and i really love all the delicate loops and curves on the sentiment. I decided to use some of the "Shimmer sheets" in both the blues and the reds to make it look like the sky and clouds and the red of a loving heart. The cloud i just cut freehand around the sentiment so you don't even need to have a die. Just draw your own. And i finished it with a pretty matching black satin bow and a rhinestone. It was really easy and the dies cut like butter, you will love them. 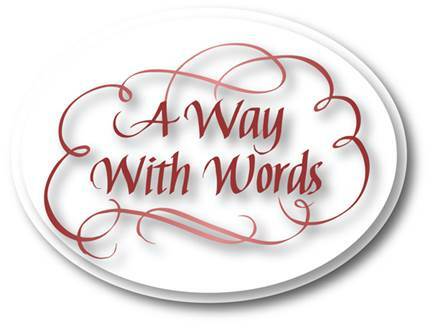 We have lots of inspiration for you each and every day using the new dies so be sure and check out our Facebook page and the Elizabeth Craft Designs for inspiration from their designers too. Have a fun and crafty day and thanks so much for stopping by. LOVE the sentiment, LOVE your CLEVER cloud framing it, LOVE your bow too!! !